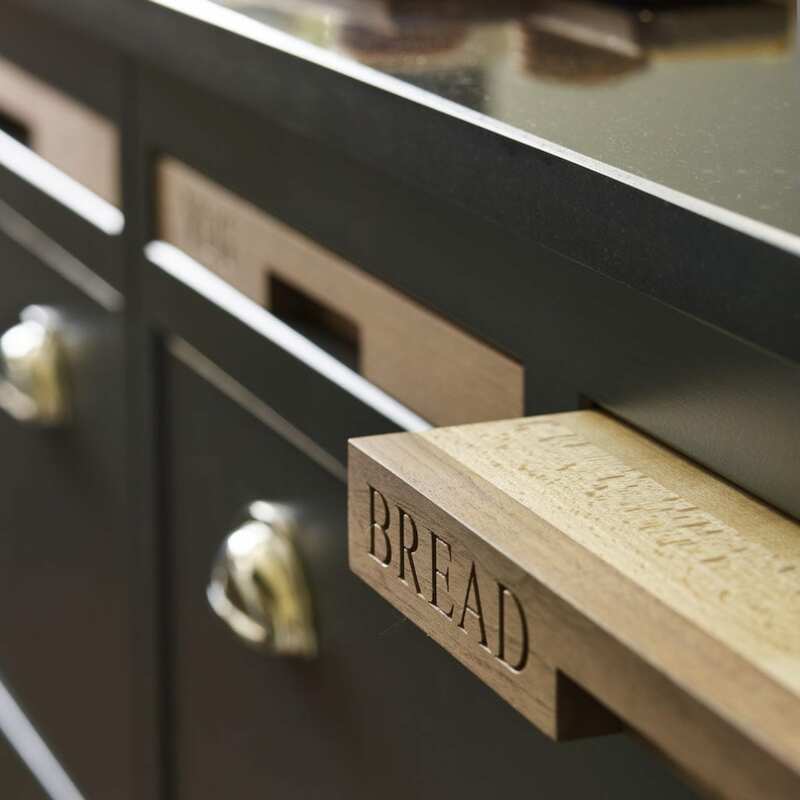 When we first met Julie and Neil they had very different ideas of what they envisaged for their new kitchen. 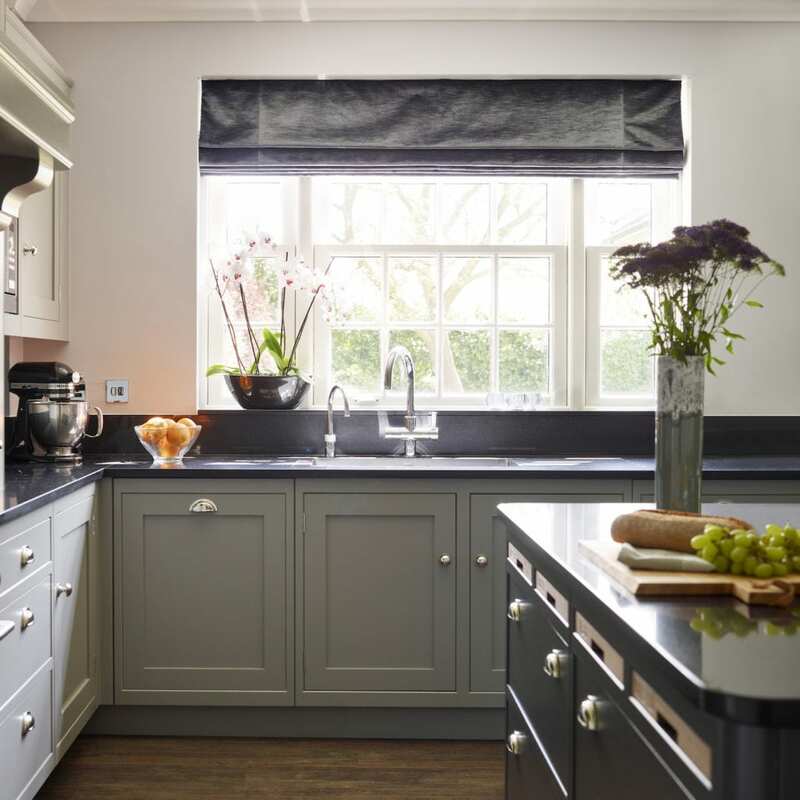 For Neil the dream was a traditional shaker-style kitchen with classic design features such as a mantel over the range cooker. Julie however had a rather different vision, one of simple, clean contemporary styling. However, despite their differing visions, they knew that they were looking for something unique. Julie and Neil were therefore keen to find the right company to realise their ideal kitchen. 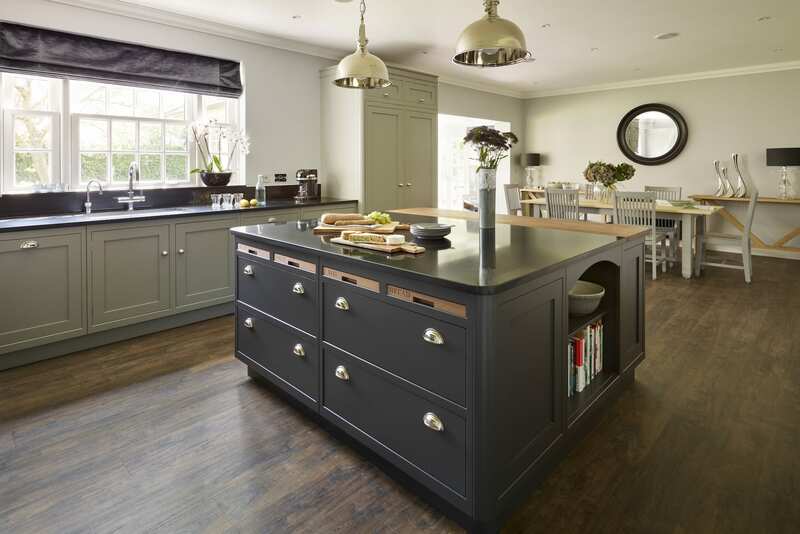 Based in Essex, the couple looked towards local companies, and following a visit to Davonport’s Colchester showroom and workshops the couple felt sure they had found the right team to work with. 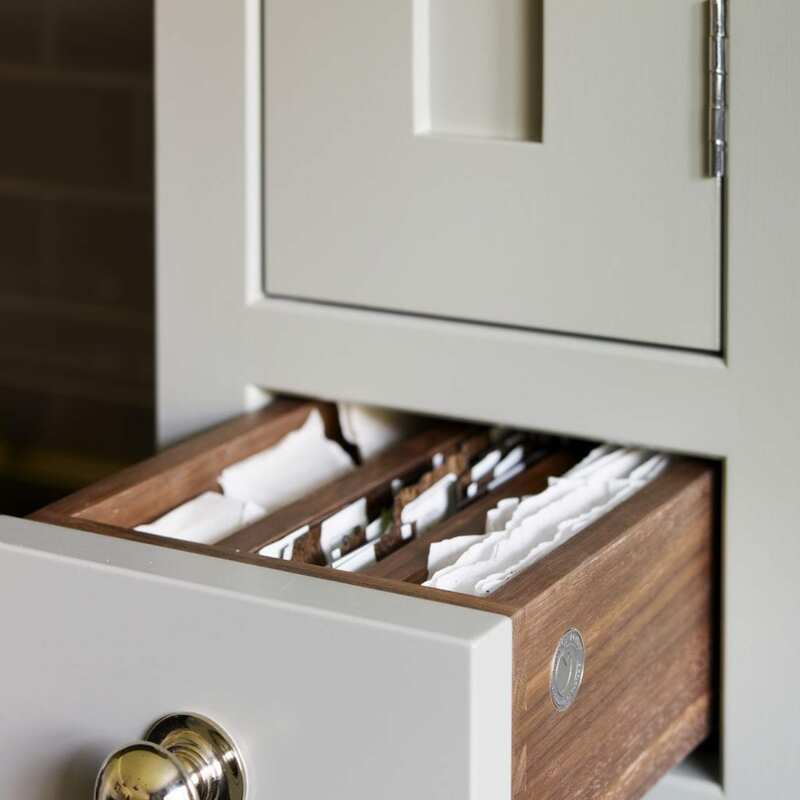 “I loved the look of the furniture and could see that the cabinetry is beautifully made. 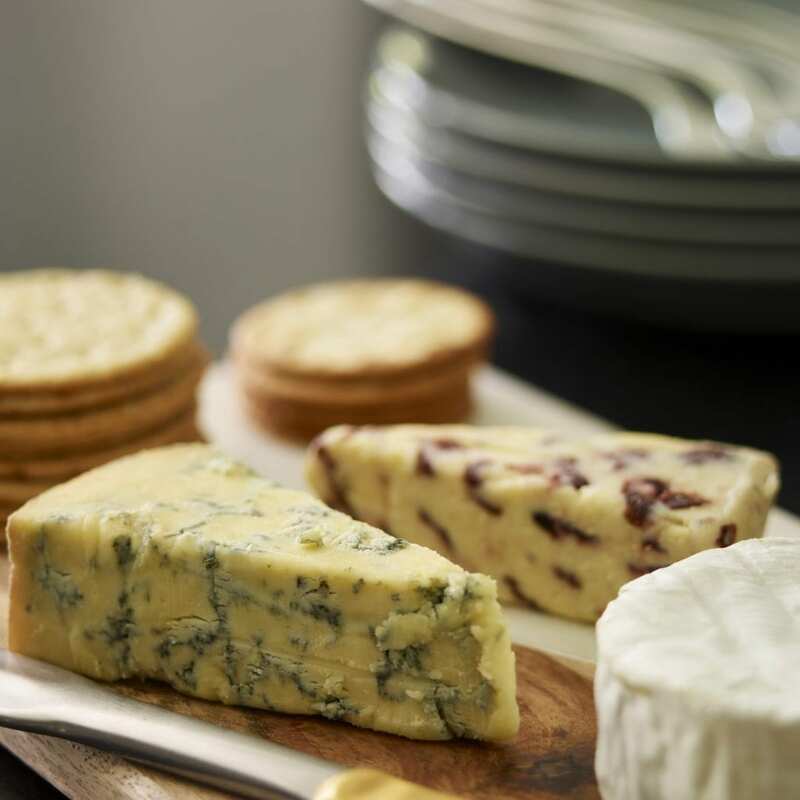 We also liked the fact that everything is made locally, and to our exact specification,” explains Julie. 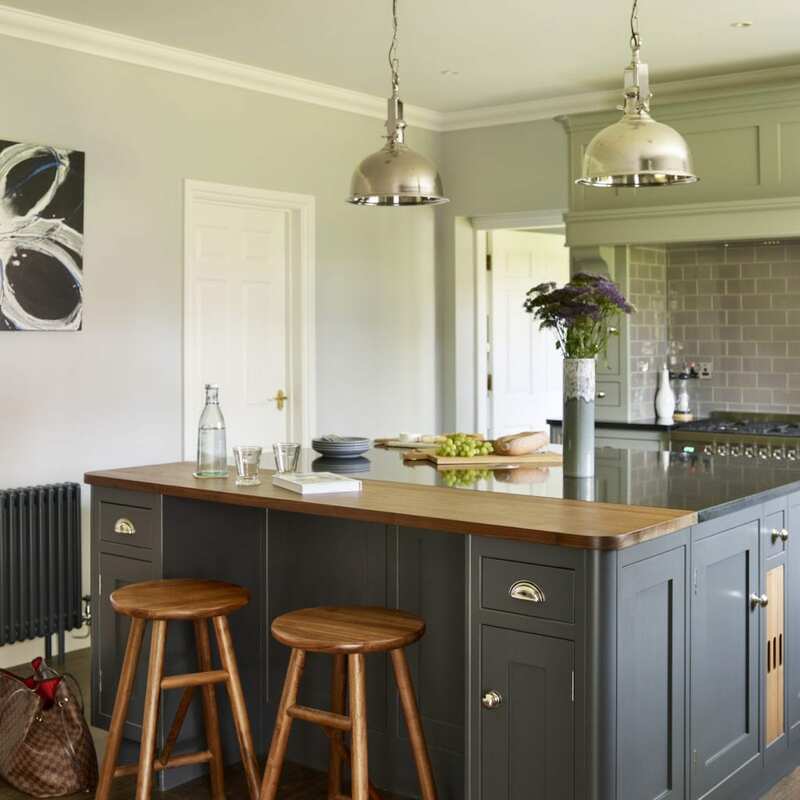 The walnut breakfast bar with seating for two is the ideal spot for Benjamin, Julie and Neil’s son, to perch and catch up after a day at school. 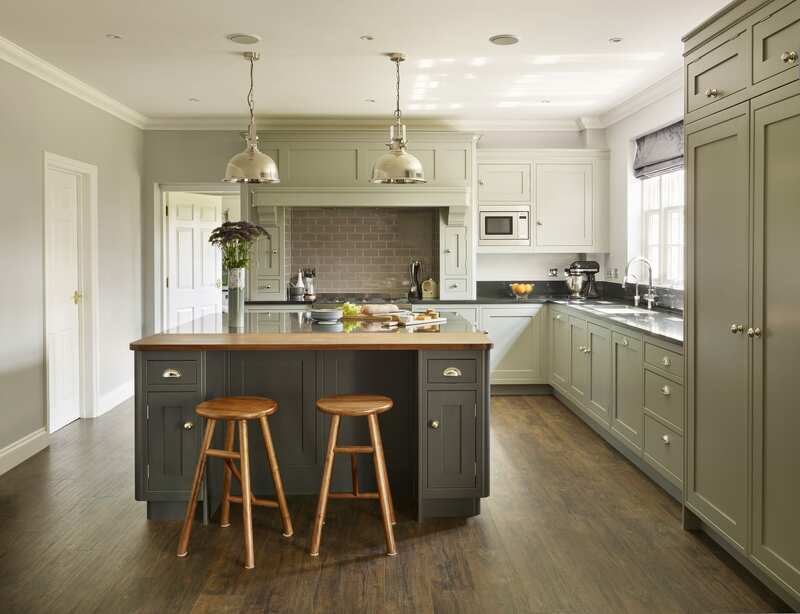 The layout of the room prevents anyone sat at the breakfast bar from getting in the way of the working area of the room – making it both practical and a comfortable and inviting space to socialise in. 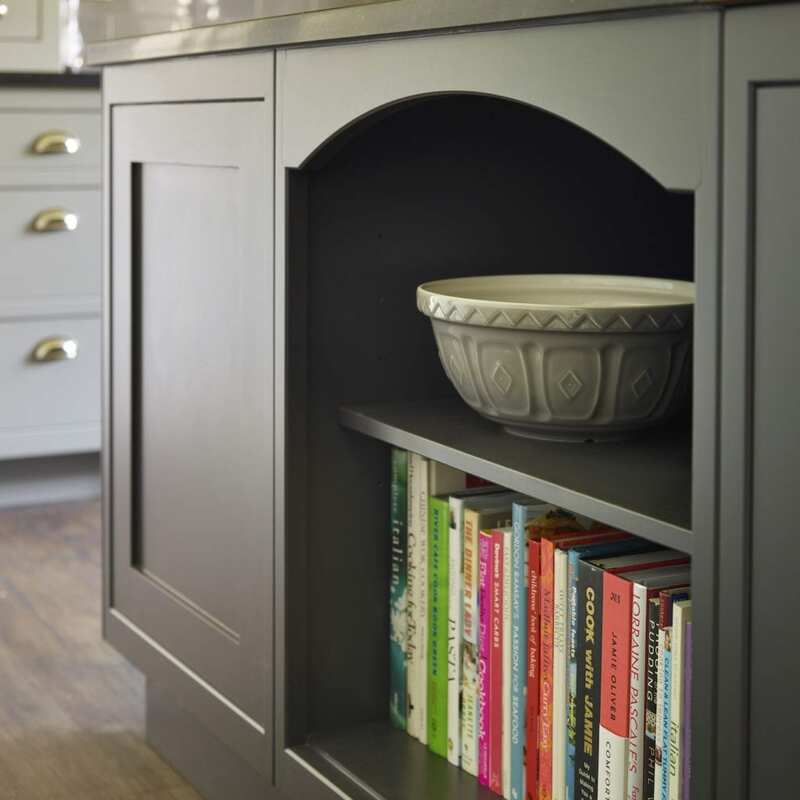 Additional features on the island, such as open shelving for storage of cookbooks and integrated chopping boards carved with specific food groups, add personality to the island. 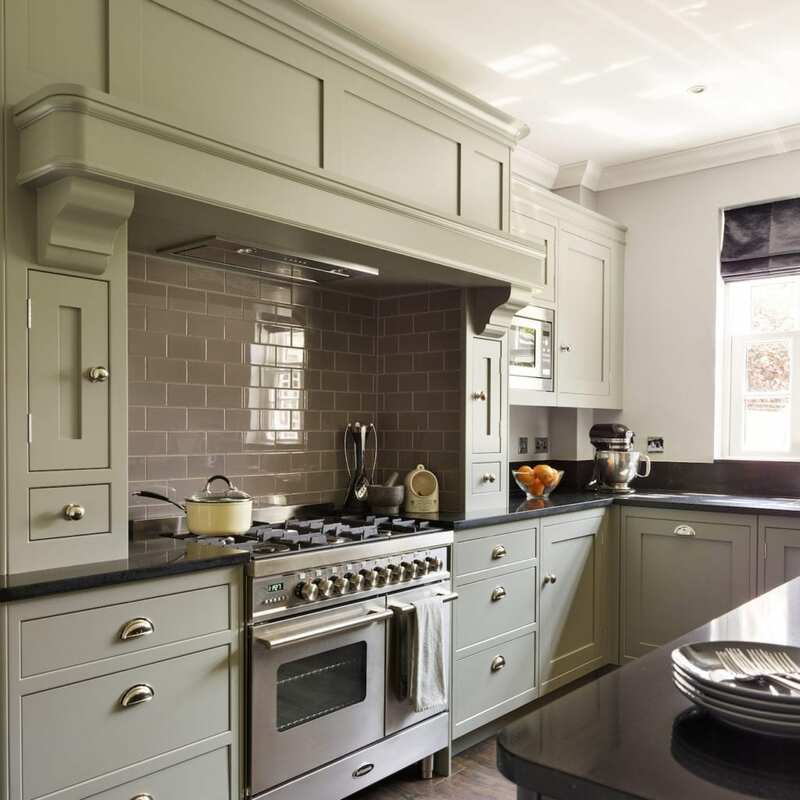 In-keeping with Neil’s classically led dreams for the room; a grand mantel frames the range cooker, accentuating the property’s generous 2.6m high ceilings. 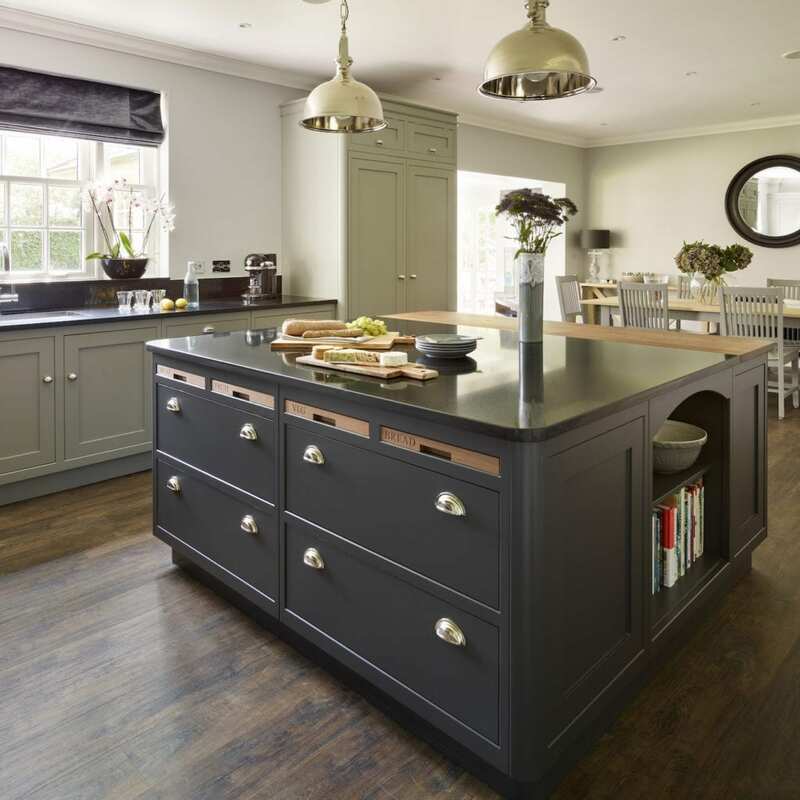 To avoid the mantel feeling out of proportion and to better integrate it into the room the fridge and freezer are housed in an equally tall cupboard – balancing the proportions of the space. Clean lines seamlessly tie all the elements together, and avoid these large items becoming overpowering. 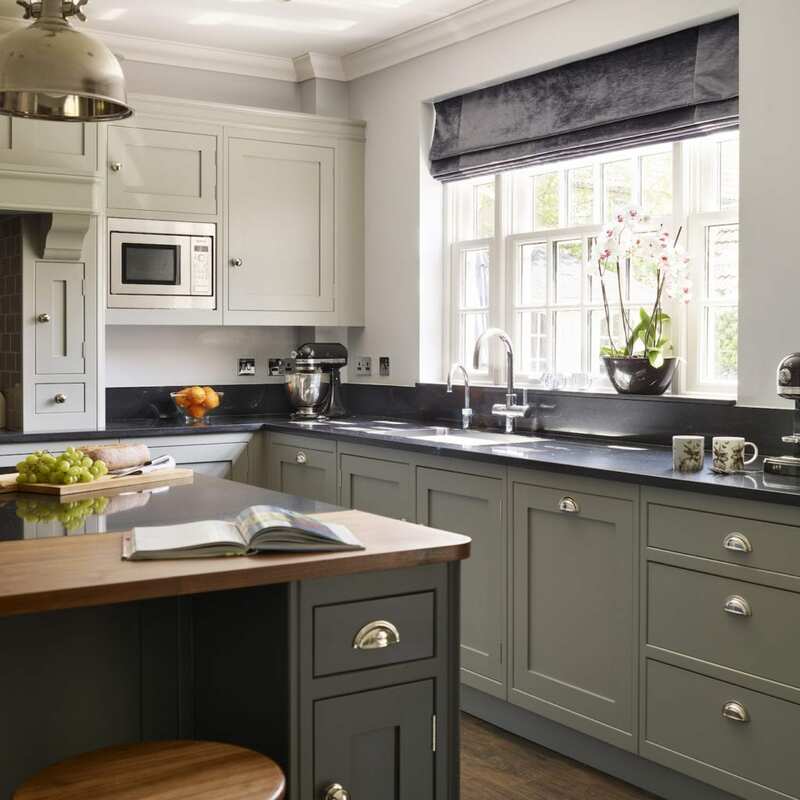 Julie and Neil had a challenging brief but with a combination of design features and a carefully planned bespoke colour scheme we were able to create the perfect blend of classic and contemporary kitchen design. “It’s a room that now feels elegant and ideal for entertaining as well as family life,” beams Julie.